‘I think you do me much honour by preserving my scribbles’ writes the colourful and eccentric Sharpe in the tipped in letter that accompanies his finely bound Ballad Book, re-edited by David Laing, with additions from Sharpe's manuscripts, and which he first printed only 30 copies in 1823, although according to Henderson, the majority of the added ballads in 1880 were of more or less questionable authenticity (ODNB). The final portion of the book prints Sir Walter Scott’s commentary on the original poems, and is taken from correspondence between Scott and his friend Sharpe. Scarce. 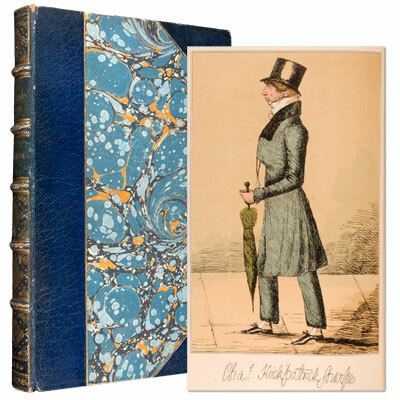 Illustrated with a colour frontispiece portrait, woodblock engraving plate and headpiece (as used for the original 1823 edition). A speculative note regarding the letter - As stated in the editor’s introduction (ix) ‘Mr Sharpe’s own annotated copy’ was carefully followed to produce this work, a copy that was ‘in the possession of Sir James Gibson-Craig’. Gibson-Craig had one of the finest collection of Scottish works ever assembled, and other correspondence from Sharpe to Gibson-Craig did begin with ‘Signor Mio’, leading us to speculate that this letter accompanied the original and rare 1823 printing of which only 30 were produced, and which in this case was later given by Sharpe to Gibson-Craig. 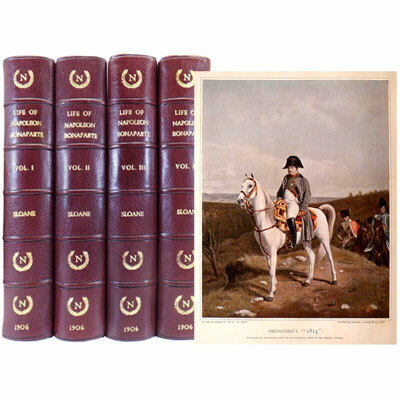 Four magnificent and finely bound quarto volumes of this monumental history on Napoleon, ‘the product of many years of elaborate investigation, it was sumptuously illustrated and composed’. [DAB]. 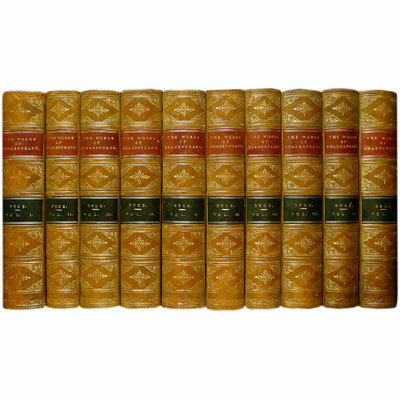 First edition, profusely illustrated with 80 colour plates, 200 black & white and tinted plates, and 17 maps.